As your relocation, removals and storage partner, we are absolutely committed to helping you achieve your success. In fact, we are the only provider to guarantee the success of our contracted clients through our unique 5-star Quality Service Guarantee. We align our solutions to your business goals and objectives, and guarantee to meet or exceed our agreed KPIs or rebate you accordingly. We deliver a seamless stress-free relocation experience, and guarantee to meet or exceed a 95% Customer Satisfaction Index or rebate you accordingly. Transparent & Competitive Pricing. Guaranteed. Transparent and Competitive Pricing. Guaranteed. We guarantee auditable, full “open book” disclosure of cost-plus pricing and mutually agreed and consistent competitive rates. Single Point of Accountability and 24/7 Access. Guaranteed. We guarantee a dedicated Account Manager supported by a senior relocation team and 24/7 access. Consistent Service Supply Worldwide. Guaranteed. 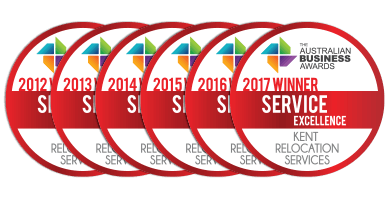 We guarantee a global delivery network held to exceptional performance standards, SLAs, peak body compliance and accreditation. We would love the opportunity to explore how we can help guarantee your success. Contact us today to speak to one of our Relocation Specialists. To explore a partnership for success with Kent visit www.KentRelocationServices.com.au or contact us today on [email protected] or 1300 340 057. 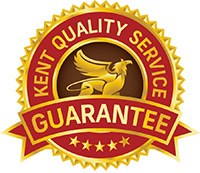 "Kent provided excellent service and commitment to our needs. Thank you!"